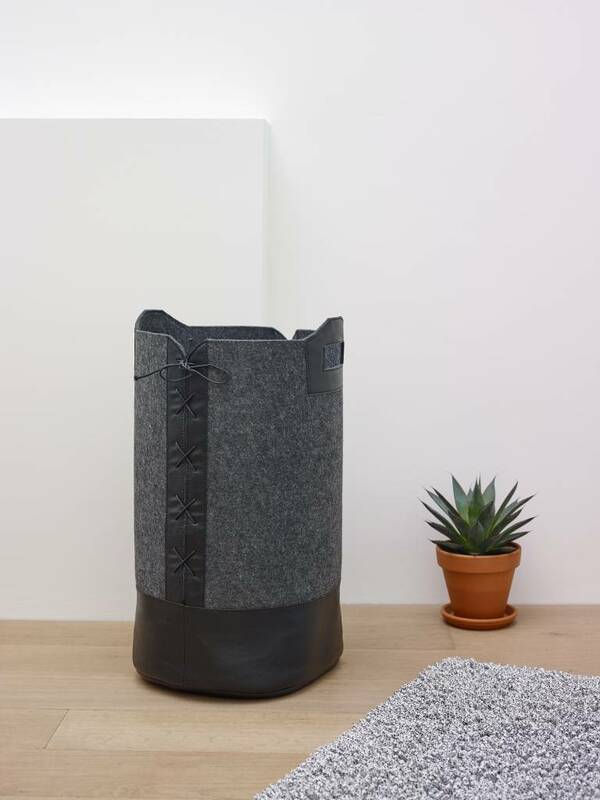 The DORAN laundry basket from Aquanova combines styling with ease of use. 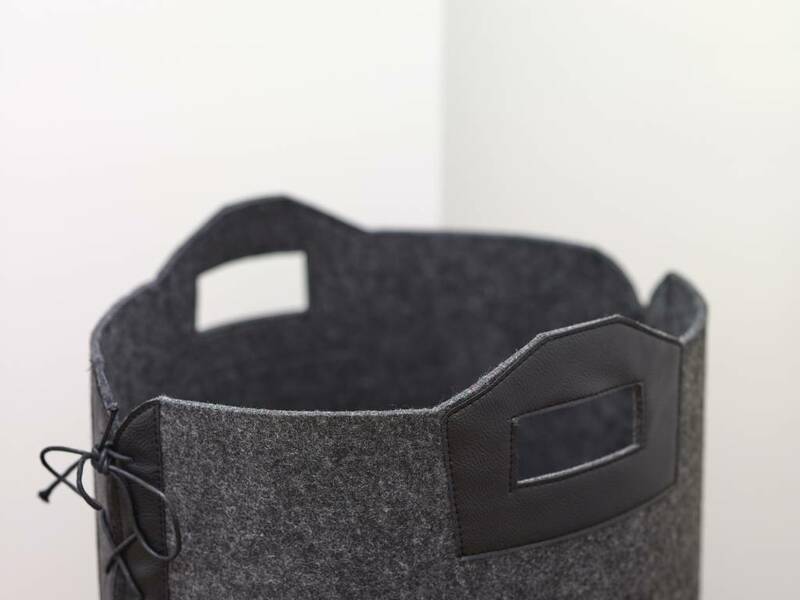 This laundry basket is made of sturdy, thick felt (5 mm) and is put together by means of side fasteners. 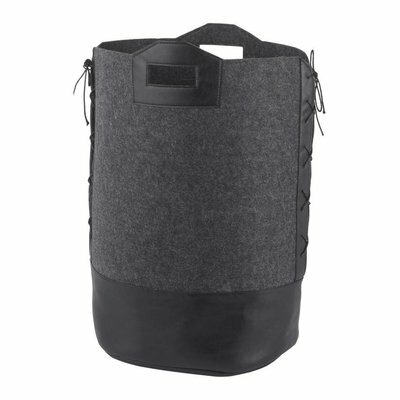 The lace fasteners, handles and bottom are made of black synthetic leather. Do you want to take the laundry away? Grab the handles together and you carry the laundry basket as a baby carrier. Handy!